The Front Rack can be a very difficult position for many fitness enthusiasts to get into, and without a solid front rack, Weightlifting and your potential results will be significantly limited. Often, the wrist also ends up being painful for many. 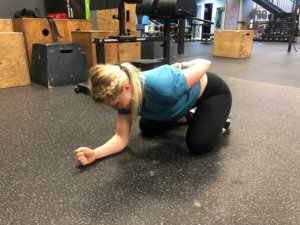 While sometimes wrist mobility can be the limiting factor that leads to a poor front rack and pain, sometimes it is just the joint that takes the stress of another area not moving enough. Identifying your exact limitation(s) will then allow you to better game plan what you need to work on to Fix Your Front Rack. To test wrist mobility, start with your hand flat on the ground with elbow extended. Move your upper body forward and see how far over your fingers your shoulder can get. We should be able to get the forearm to being positioned vertically above the wrist joint. 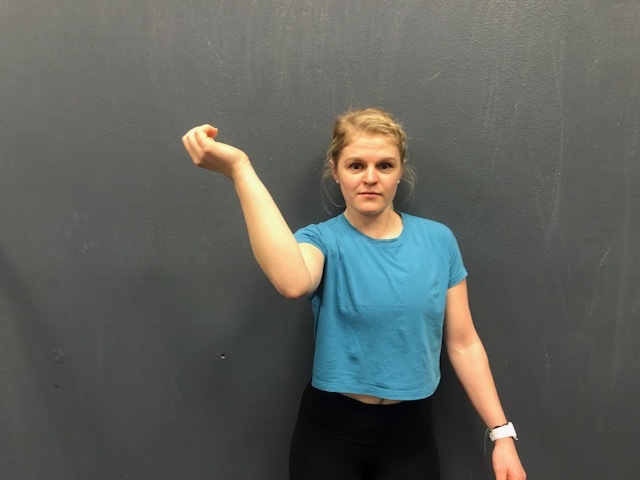 If not, wrist mobility will need to be addressed with either soft tissue work or joint mobilizations. Up next, we need to look at how much elbow mobility you have. While giving yourself a bit of overpressure, test if you can get your knuckles to contact your shoulders. 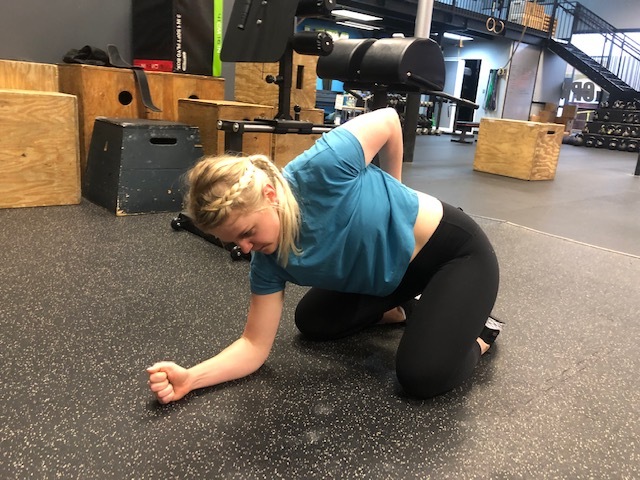 Some with larger biceps and/or forearm muscles will be limited by soft tissue approximation and will need to make up for their lack of elbow flexibility with increased shoulder external rotation. I always start with shoulder mobility by looking at external rotation. 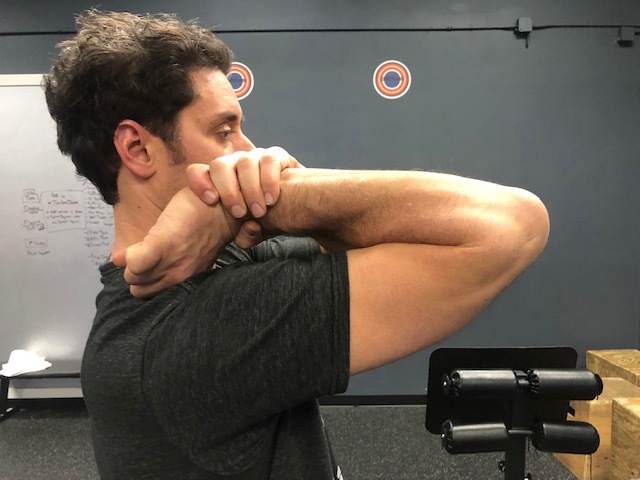 Begin with your elbow positioned directly in front of the shoulder and then see how far from vertical the arm can get. You should be able to move at least a few degrees past vertical. If you lack elbow flexion in the above test, then you’ll need to go further. After shoulder external rotation is flexibility of the lat muscles. Begin lying flat and assessing shoulder flexion with legs down. Now compare with the hips flexed to 90 degrees (shown below). If overhead mobility is decreased when the hips are flexed then lat flexibility needs to be addressed. The final piece of the puzzle to fix your front rack is to assess thoracic rotation. Begin on knees with toes on the ground. Sit back so that your bottom is on you heels. 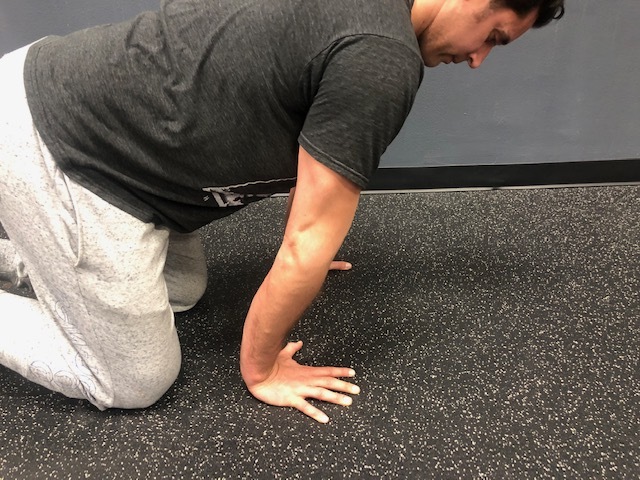 Place one forearm on the ground and the other hand on the lower back. While maintaining flat forearm, rotate as far towards the up hand as possible. The shoulders should create a 50 degree angle relative to the ground if thoracic rotation isn’t limited. Previous	Weak in the Wrists….